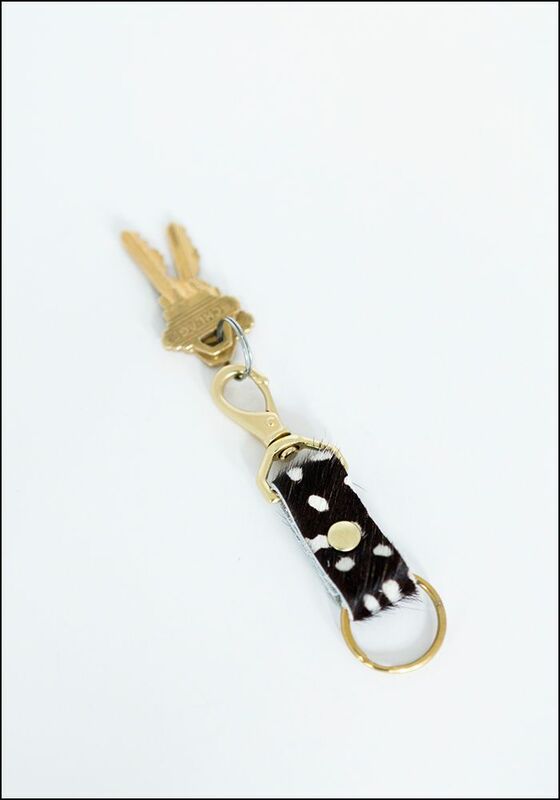 Uber cute AND totally practical, these handmade cowhide keychains are chic way to keep things organized. 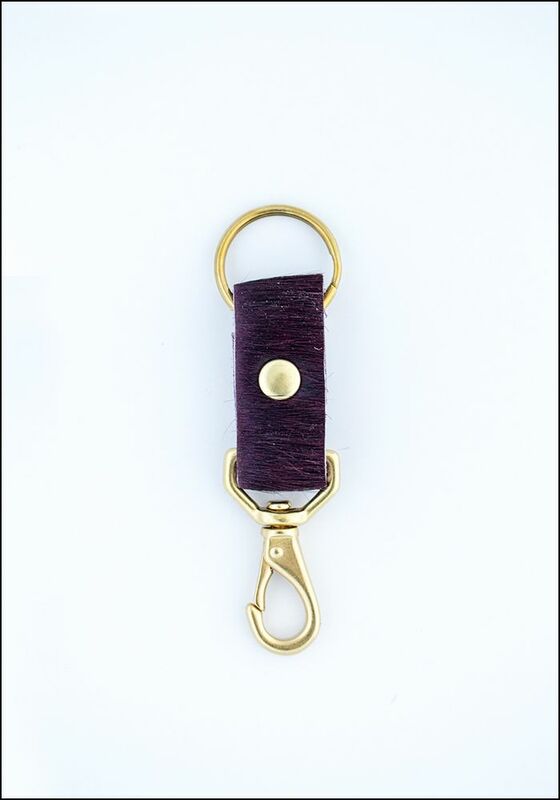 The bras hook can attach to the inside of a bag, meaning you'll never misplace your keys! > Brass findings, dyed cowhide. > Length: 4". Width: 1". > Handmade in Portland, OR.